Timberland Trees LLC was established in 2004 after years of experience growing , moving and planting large landscape trees. 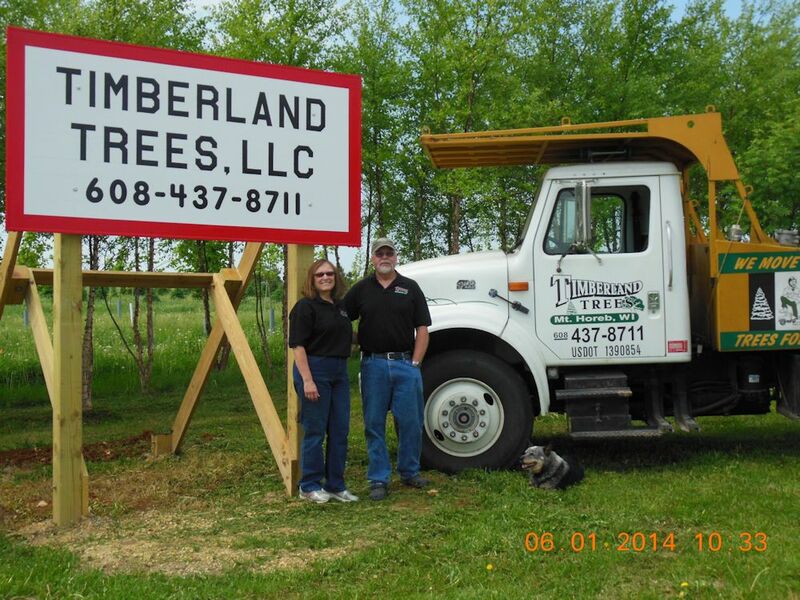 At Timberland Trees we are dedicated to providing quality landscape trees at affordable prices. We specialize in Growing, Moving and Planting large trees for commercial and residential customers. Our specialized equipment allows us to deal with larger shade, ornamental and evergreen trees, keeping the root ball intact, helping ensure successful transplant and survival of these freshly dug trees whether its done Spring, Summer or Fall. Our nursery is located in Western Dane County, Wisconsin two miles North of Mount Horeb. We also work with other nurseries which enables us to provide our customers with some of the finest stock in the area. We are glad to show trees by appointment and will work to make it fit your schedule. We service the entire Dane County area and elsewhere to neighboring counties. We work with residential property owners, municipalities, commercial developers, home builders and landscape contractors. Have a view to block? Need some shade? – We welcome your questions about your project. Contact us here.